No matter what you’re celebrating this season, there’s nothing like a fun and festive sweater to get you in the holiday mood—bonus points if you can find a stylish one. And while the latter sounds difficult, after tracking down 12 of the chicest festive sweaters on the market, today we’re pleased to be able to prove otherwise. What we can't take responsibility for, however, is offending your grandmother, should you cast aside her hand-knitted gift for one of these. Nonetheless, from our very own, toned-down $37 version for Target to a Gucci jumper that’s rife with the most beautiful embellishments, we’ve got something for everyone (and every budget). Shop our picks below, and if you don’t tell grandma, neither will we! 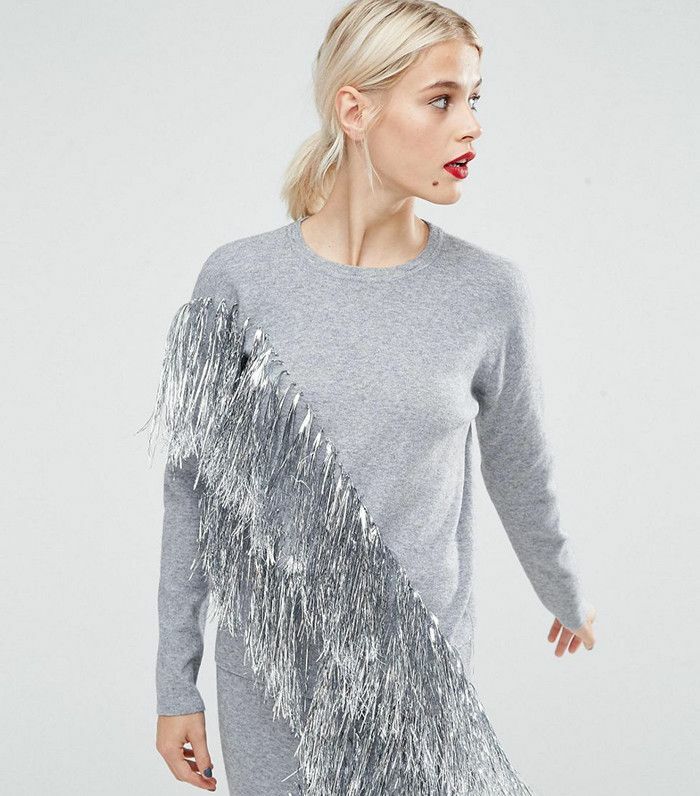 Achieve the metallic fringe look like a pro in this sweater. Pair this with a pair of jeans for an elevated casual look. Presents aren't the only thing being wrapped in bows this holiday! A great choice for a formal dinner party. This versatile option will surely go with any bottoms you choose. For a more authentic look! A little bit of festive studding for a casual holiday party. Pair this with a knee length skirt and chunky heels for a great work outfit. Color blocking with a hint of sparkle. No ugly-sweater party option here. A little bit of subtle detailing never hurt anybody! The most fun sweater of the bunch, hands down.